The December depositors’ panic that resulted in about $6 billion withdrawal was provoked to destabilize the financial situation in the bank and the whole country, says Herman Gref, chairman and CEO of Russia’s largest bank, Sberbank. “The target was to destabilize the country's largest bank and financial situation in the country,” he added. On December 18, Russia’s Sberbank suffered a massive information attack, when people received a text message saying the lender had problems giving out deposits. The same information was transmitted via numerous forums on the internet. Gref refused to give exact figures, but said that even though 300 billion rubles (about US$6 billion) is not a precise number, it is close to the total sum that citizens withdrew on December 18. The outflow was historical, we have never seen anything like that happen, said Gref. 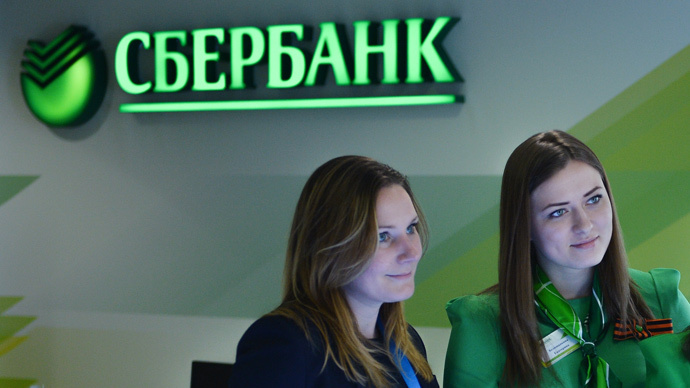 An investigation into Sberbank’s security service is in progress and has already paid dividends. “I would not like to disclose the results. But we do have specific sites and IP-addresses these mailings were sent from, we even know who these addresses belong to. Not all of them are within our reach. But there is no doubt it was a well-planned provocation,” said Gref. The biggest bank’s withdrawal in Russian history took place two days after December 16, so-called Black Tuesday, when the ruble hit a record low against hard currencies, trading 99.5 against the euro, and at 79 to the US dollar that day. A drop in oil prices and US-led sanctions pushed ruble to a 55 percent fall against dollar in 2014. This year has seen a sharp strengthening of Russian national currency.It has been acknowledged the world’s best performing currency in 2015, but this week the ruble has retreated, trading at 52.4 against the dollar and 57 to the euro Thursday at 3pm MSK on Moscow Exchange.